Over three special episodes, This Old House is partnering with Homes For Our Troops (HFOT) to build a house?from the ground up?for one Army veteran and his family, as a way to highlight the heroes who have given so much for their country. In 2003, while on his first deployment to Iraq, SSG Matt Dewitt and his battalion came under attack, leaving Matt with devastating injuries that resulted in the amputation of both arms. We meet Matt and his family at his current home to understand the challenges of day-to-day and why a HFOT specially adapted home will be life changing. Kevin meets Buildings Project Manager Mike Duckett in Hopkinton, NH to see the plans for the DeWitt project. Master Carpenter Norm Abram, General Contractor Tom Silva and Host Kevin O'Connor join builder Ken Dionne and his team to help with framing the exterior walls. Kevin meets the HFOT Chairman, Four Star General Richard Cody, to understand their mission. Kevin then travels to Florida to meet Justin Gaertner, another veteran who also received a specially adapted home from HFOT. 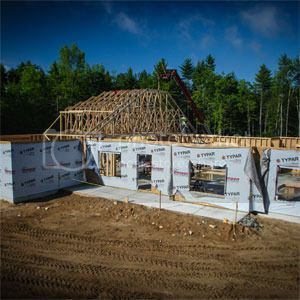 Kevin rejoins the project in New Hampshire and finds that all the exterior walls are secured and the truss roof is going up. Landscape Contractor Roger Cook heads to Maine to help a homeowner plant an indoor tropical garden with plants from Jamaica. Richard Trethewey, Roger Cook, Host Kevin O'Connor and Tom Silva ask "What Is It"? Plumbing and Heating Expert Richard Trethewey shows how to change the temperature on water heaters. Then Tom and Kevin built an American flag out of reclaimed wood. 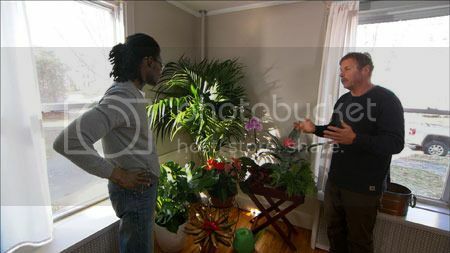 Roger heads to Maine to help a homeowner plant an indoor tropical garden with plants from Jamaica. The self-watering containers that Roger used are manufactured by Lechuza. Special assistance with this project was provided by Carrie Kelly and Mahoney's Garden Centers. 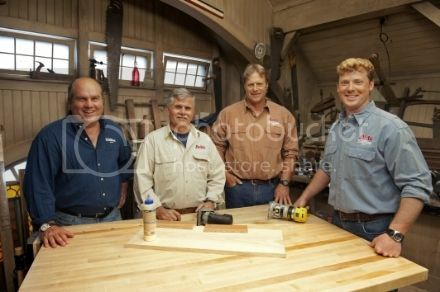 Kevin shows a white and clear object, and the guys try to guess its intended use. Kevin demonstrated the Every Drop Water Filter, a portable water filter manufactured by Whirlpool. Richard shows how to change the temperature on your water heater for safety and energy savings. Richard demonstrated how to change the temperature settings on gas and electric tank type water heaters and gas on-demand water heaters. In the barn, Tom and Kevin build a US flag out of reclaimed wood. Dunnage, or scrap lumber used to transport other lumber, is available at lumber yards, often for free. Special assistance with this project was provided by Anderson & McQuaid Co, Inc..